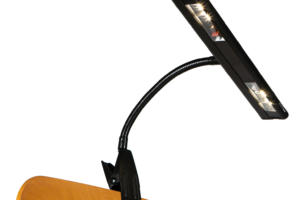 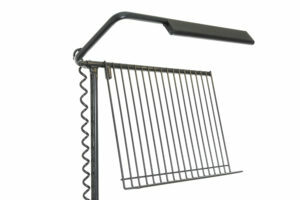 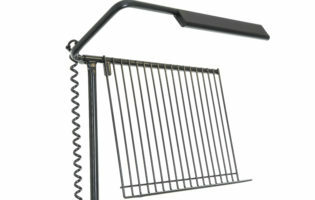 This illuminated Conductor’s Stand is designed for semi-permanent installation in the orchestra pit of large opera houses. 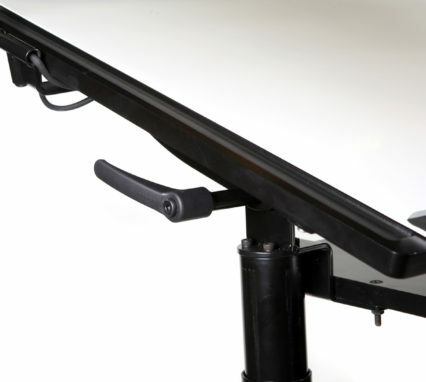 Electric height adjustment puts full control at the maestro’s fingertips. 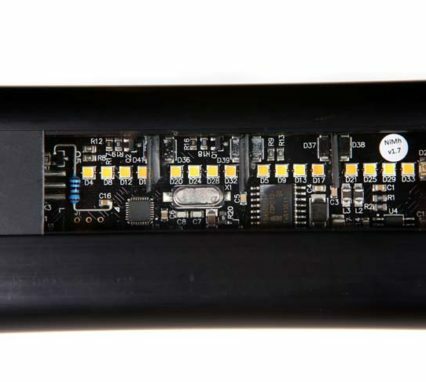 It has slim lights that give the musicians an uninterrupted view of the conductor while extra lights at the sides of the tray give even and very bright illumination of the score. 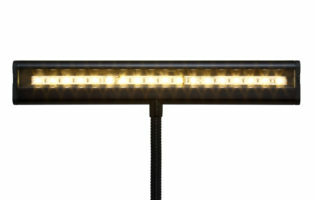 Light is also reflected off the white tray which also helps to illuminate the maestro. 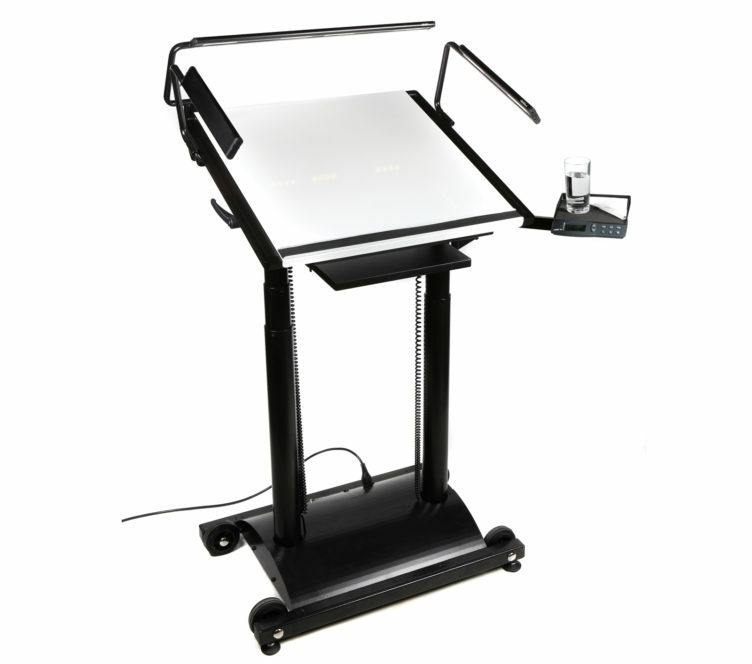 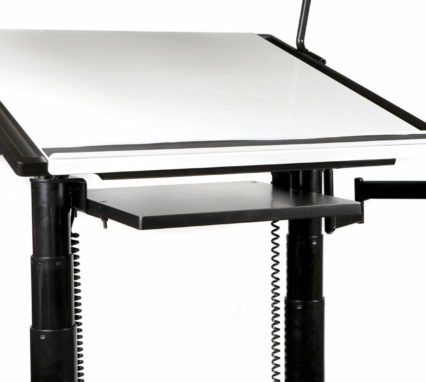 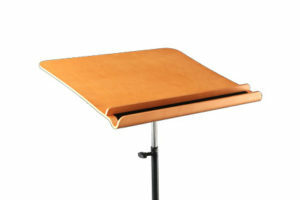 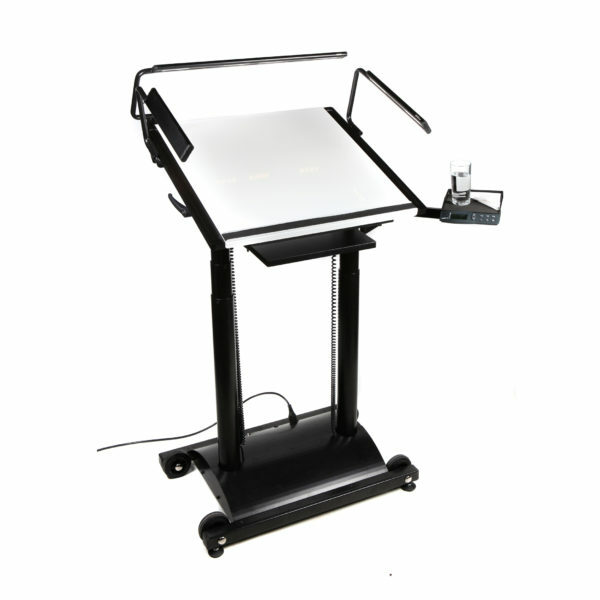 The tray width is adjustable to ensure the stand can handle the largest scores. 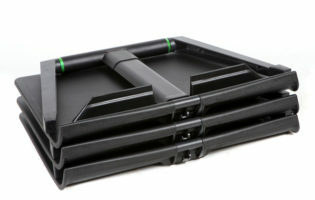 Rubber lined recesses all round the main tray for pencils and batons as well as an articulated accessory tray for personal items. A second shelf is located under the main tray for storage of scores. 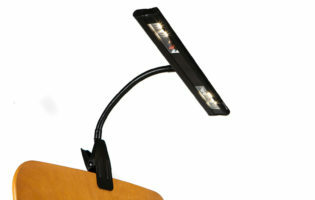 Have the lights controlled by the conductor or directly from the lighting desk via Powerline or Radio DMX. 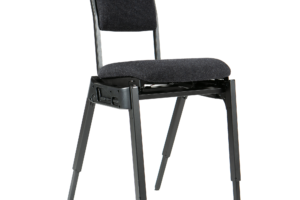 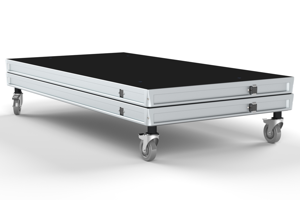 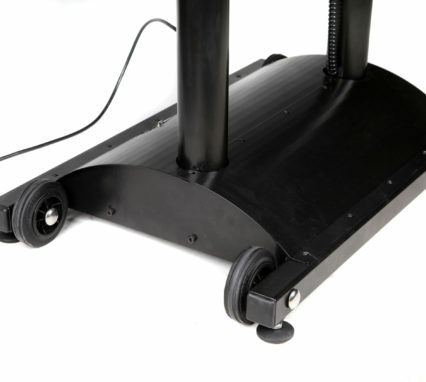 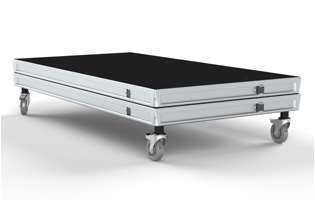 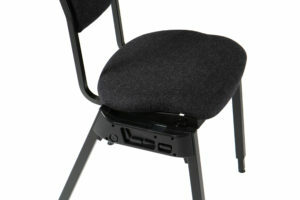 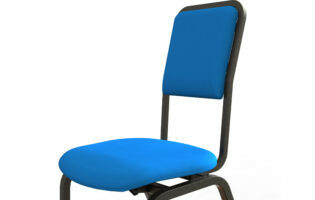 The base has wheels and adjustable feet to facilitate moving. 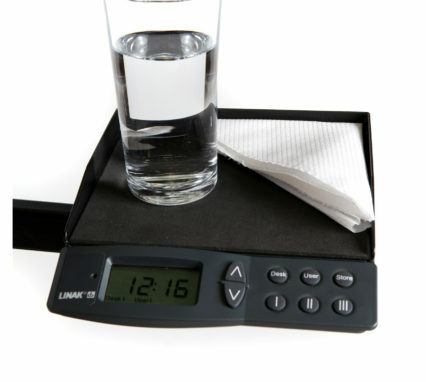 A digital display shows the current height, and up to 6 heights can be stored in memory. 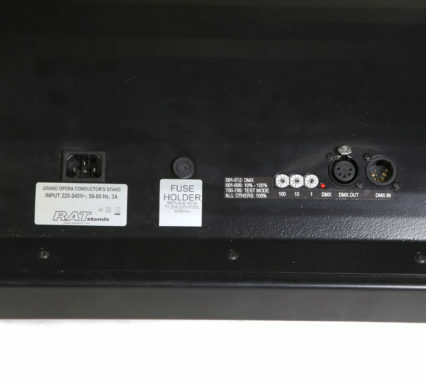 There is also an in-built digital clock.